Good intentions are not enough - Check Everything! Some welding shops can weld however they want and don’t have to comply to any standard or code. On the other hand, some manufacturers have to meet and follow stringent requirements and follow specific codes such as AWS D1.1, API 1104 or ASME Section IX. The development of welding procedures is not an art, at least it shouldn’t be. 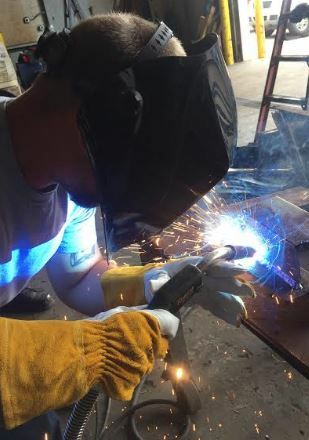 Developing welding procedures is a systematic process which, when done carefully, provides reasonable assurance that a sound weld will be produced every time. 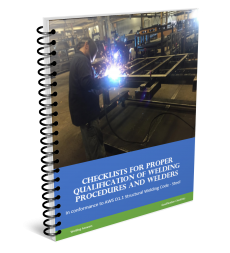 If your shop follows the letter of the law and has well written Welding Procedure Specifications (WPS) supported by Procedure Qualification Records (PQR), you may still be out of compliance without realizing it. Several factors can make you fall outside of the permitted limits in the WPS without your knowledge. Below are 7 of the most common causes. Contact Tip to Work Distance is not followed – CTTWD is shown on WPS documents. It usually calls for a range like 3/4″ -1″. Large increases in CTTWD will cause the amperage to drop. A mig welder is a constant voltage machine and in order to keep voltage constant when a long stick out is observed it will decrease the amperage. Lower amperage can affect penetration and that is why there is a range in amperage to be followed. Changes in CTTWD are not just due to welder performance, in a lot of cases difficult access to the joint creates this problem. The welder is not properly qualified – Your ace welder may be on the job, there is no doubt he or she can produce sound welds, but his paperwork isn’t right. This can be due to many things, the most commons are he or she qualified to a different thickness range, a different welding position or a different process. It is the responsibility of the CWI to check all paperwork and make sure this does not happen. Preheat and interpass temperature are not being measured correctly – spitting on steel to see if it sizzles or waiting until the steel sweats is not the correct way to measure preheat. Most shops following code know this and this does not happen, but it is important that the measurements be taken correctly. Most mistakes are made in taking the temperature right at the joint. Most codes are specific as to where you take this reading. AWS D1.1 Structural Welding Code calls for the reading to be taken 3 inches away from the joint on material thickness up to 3 inches. In material thicker than 3 inches you take the measurement at a distance from the joint equal to the material thickness. Repair welds are not supported by a WPS and PQR – some repairs require a properly written WPS. Simple things such as undersized welds may not, but something like filling up a misplaced drilled hole certainly does. Consult with the engineer and CWI to determine what repair procedures need a WPS/PQR. 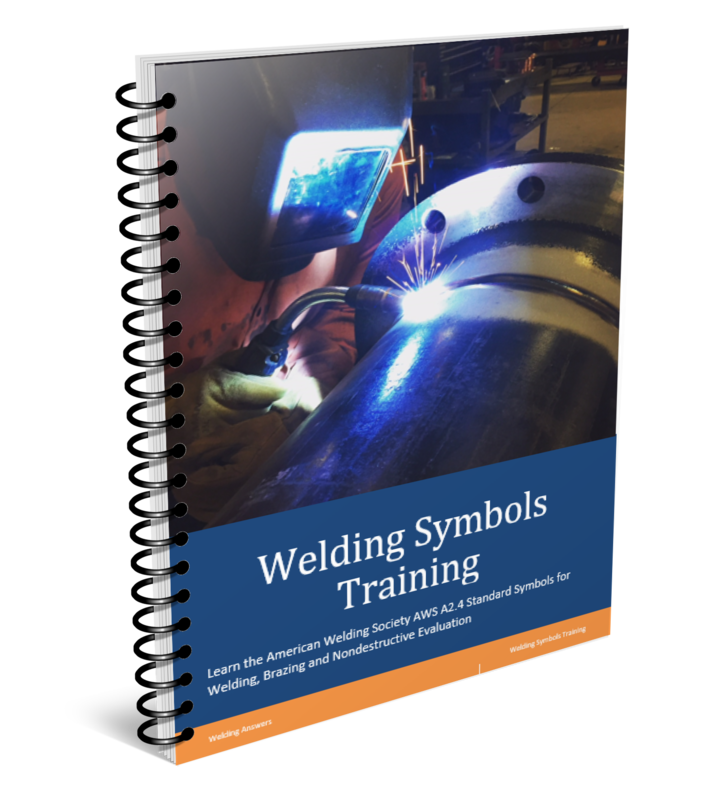 You are using pre-qualified welding procedures but don’t have a written copy – EVERYTHING needs to be documented. You can’t just say I am using pre-qualified join B-P9-GF according to AWS D1.1 and the filler metal manufacturer’s suggest procedures. It MUST be on paper and approved by the engineer. Your CWI’s license has expired – this is more common than you think. If a customer requires that your inspector be an AWS QC1 Certified Inspector then his or her license must be active. Qualification by experience will not do in this case. The inspector must have a current CWI license. This one is not a violation of the WPS, it would be a violation of the contract documents. It happens enough to deserve mentioning. There are many other ways that an auditor can “catch” you not complying to contract documents. 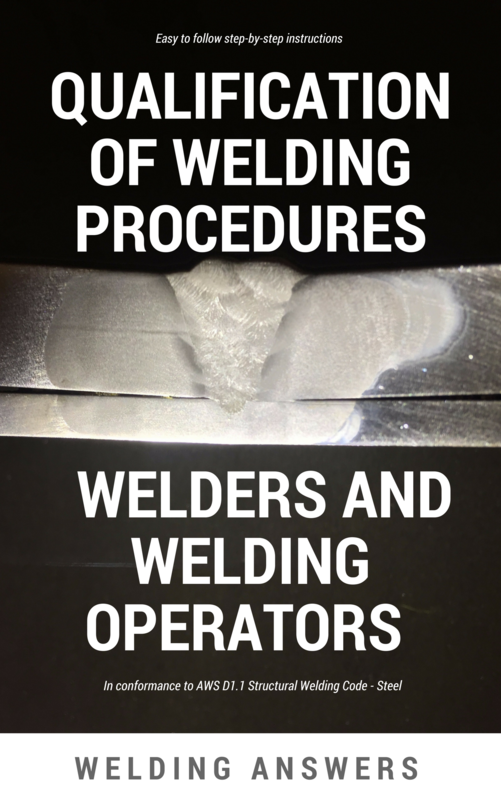 Do you need help qualifying welding procedures? Qualification of Welding Procedures, Welders and Welding Operators provides step-by-step instructions to make qualifications simple. Don’t leave things up to chance. Ensure you are doing things right. the red end is HOT ?